KIEV, Ukraine — For centuries, the golden cupolas of the Kiev Pechersk Lavra monastery and catacombs have been a refuge of tranquility and prayer in Orthodox Christianity. It is now caught in the conflict between Ukraine and Russia as it spills into the world of faith. What is at stake is whether the Ukrainian church can formally break away from Russia’s control and become a new autonomous branch among Orthodoxy’s more than a dozen churches. But it also reflects the wider battlegrounds of nationalism and political identity that helped touch off a separatist uprising in pro-Moscow areas of eastern Ukraine more than four years ago. Fighting has claimed more than 10,300 lives, and Moscow in 2014 annexed Crimea from Ukraine in a move that has brought international denunciations. Ukraine’s political leaders are now pushing for the Ukrainian Orthodox Church to be fully free of Russia’s oversight. Moscow, however, is using its vast influence with the Orthodox world to block any rupture. 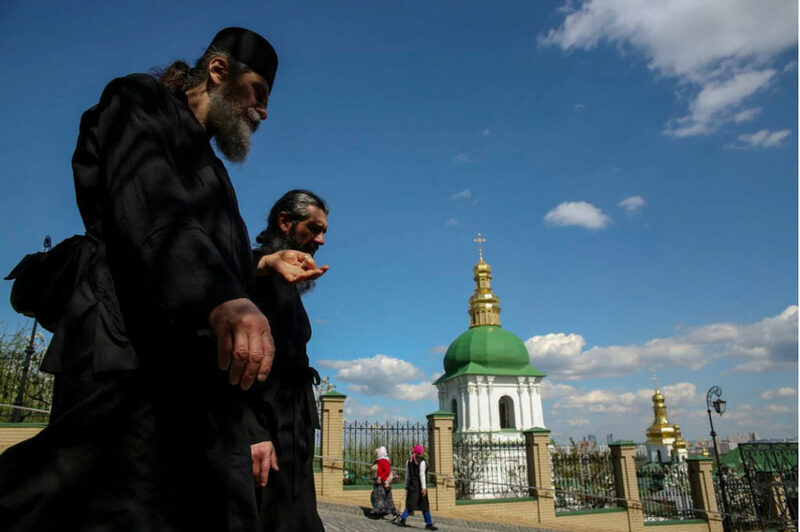 “The Russian Orthodox Church won’t sit idly by and watch this,” said Archbishop Kliment Vecheria, spokesman for the Ukrainian Orthodox Church of the Moscow Patriarchate, which is part of the Russian church. An independent Ukrainian church — or “autocephalous” in ecclesiastical terms — would mean little in everyday terms for the faithful. But for Ukraine’s political leaders and others, it would mark another important symbolic break from Russia and its reach into Ukrainian affairs. Russia, which has the largest number of Orthodox believers and views itself largely as the leader of the Orthodox world, vehemently objects to the plan. “For the entire Orthodox world the single preferable scenario is the preservation of unity,” said Kremlin spokesman Dmitry Peskov. The Russian Orthodox Church has even compared the granting of an independent church to Ukraine to the schism between the Orthodox and Roman Catholic churches in 1054. 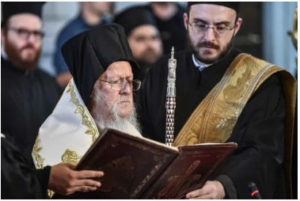 The decision now falls to the spiritual leader of the world’s Orthodox Christians, Ecumenical Patriarch Bartholomew, from his base in Istanbul, the former Byzantine capital of Constantinople. He could announce this week whether to approve Ukraine’s appeal. 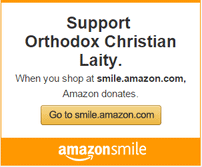 More than two-thirds of Ukrainians are Orthodox Christians. But in an arrangement that dates back more than 300 years, the country’s main religious body falls under the authority of Moscow, and not Kiev. “Excuse my pathos, but this is really about Russia’s control over the minds and souls of the Ukrainian people,” said Viktor Yelensky, one of the Ukrainian lawmakers who in Aprilvoted overwhelmingly in favor of President Petro Poroshenko’s appeal to Bartholomew to recognize an independent Ukrainian church. Since the April vote, Bartholomew has been visited by delegations of Ukrainian and Russian clergy, each pleading their case. “Moscow is painting Ukraine as an aggressor, and they’re portraying the drive for autocephaly as an offensive. But for the Ukrainians, it’s defensive,” said Victoria Smolkin, associate professor of history and Russian and East European studies at Wesleyan University. Publicly, the Russians are objecting on grounds of jurisdiction. Such questions as the granting of autocephaly, they say, should be decided unanimously by Orthodox Christianity’s various churches — not unilaterally by Bartholomew. 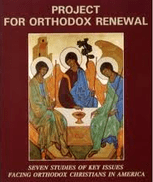 Observers of the Orthodox Christian world say the dispute goes much deeper. It dips into the age-old struggle between Moscow and Constantinople for primacy among Orthodoxy’s more than 250 million followers, and Putin’s grand strategy of branding his regime as the world’s main defender of traditional Christian values. “Constantinople is not beholden to Moscow. They are competitors, not partners,” said Smolkin. “It really undermines all their advertising, or marketing, so to speak, of their role on the globe,” said George Demacopoulos, co-director of the Orthodox Christian Studies Center at Fordham University. Russia’s power play is made possible by the decentralized structure of the Orthodox Church, which lacks an all-powerful central authority figure like the pope. Instead, the Patriarch of Constantinople is considered a “first among equals” among the other Orthodox patriarchs. His opinions — thanks to tradition and Constantinople’s historical central role in the formation of the Eastern Church — carry more weight. “The whole concept of autocephalous churches is supposed to avoid secular ambitions of power,” said the Rev. John Chryssavgis, Archdeacon of the Ecumenical Patriarchate, who serves as an adviser to Bartholomew. Still, many decisions are reached among Orthodoxy’s 14 constituent churches, which largely conform to national borders, like Bulgaria, Romania and Russia, and also include the ancient regional churches that were part of the Byzantine Empire, like the one based in Alexandria, Egypt. Should the Ukrainian church become the 15th church, fresh battles over parishes and church property are likely to erupt. According to Demacopoulos, Ukraine makes up at least one-third of the Russian church’s parishes. Their loss would be significant. Crowning these properties is the Kiev Pechersk Lavra, or the Monastery of the Caves, perched on a bluff overlooking the Dnieper River, in one of the capital’s more exclusive neighborhoods. To enter through its frescoed gates is to immerse oneself in a world full of cassocked monks, hushed, genuflecting worshipers and more than 100 religious structures. At its heart is a labyrinth of catacombs, which date from the 11th century and are the final resting place of some of Eastern Orthodoxy’s most revered figures. For now, the Lavra is divided into an upper section, which the Ukrainian Ministry of Culture administers as a historical site, and a lower monastery, which is leased by the Moscow Patriarchate.